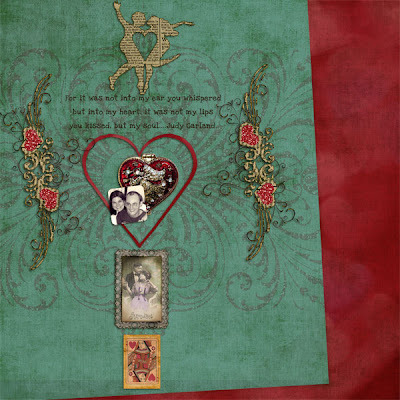 The winner of the Artisan Notebook Fuss Free Template Challenge for the month of February is . . . Pene aka rtoose with her layout "into my heart." I love how she only used one of the photo spots and replaced the others with vintage elements. Pene has won her choice of one of my template packs as well as a three month Guild membership and her layout will be featured in the April issue of The Artisan Notebook. Thanks to everyone who joined in the challenge. I hope you enjoyed the template, and I look forward to seeing what each of you creates this month! where do we post the LOs for the May Issue?